Fluitec offers a safety concept and all essential equipment for scaling up demanding chemical reactions in tubular reactors. The continuous processes are divided into safety classes based on their temperature levels, as a starting point for selecting and installing suitable safety devices such as a countercurrent safety purge system, safety valves or bursting discs. The use of certified assemblies results in significantly shorter development times. Chemical processes are often developed directly today in continuous operation. 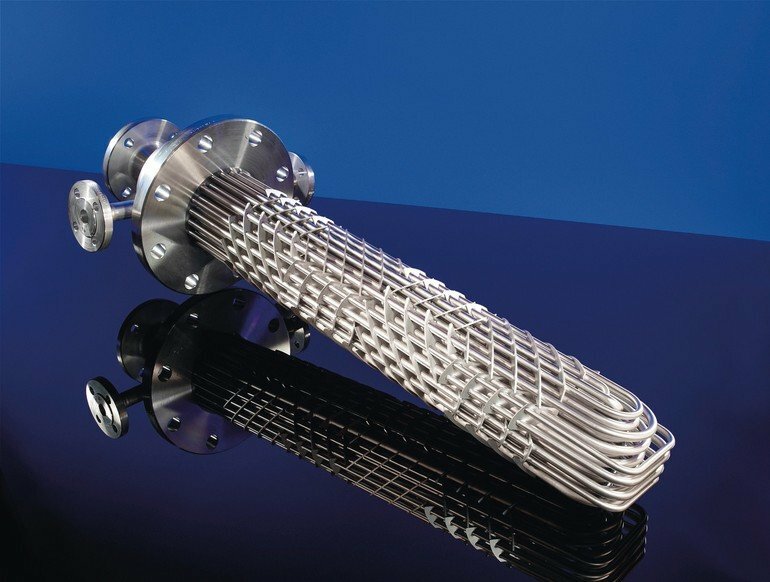 Owing to the small reactor volumes and the high surface-to-volume ratio, even fast and highly exothermic reactions can be carried out safely in millireactors or microreactors. However, the question of safety requirements generally arises at the latest when these reactions are scaled up. Fluitec has developed a safety concept for assemblies and built a reference plant with a diameter of DN 50 for throughputs from 100 to 300 kg/h. The engineers responsible chose Fluitec’s proven, high-performance mixer/heat exchanger as the tubular reactor. Safety classes 1 and 2 are considered to be «safe» because if the cooling system fails, the maximum attainable temperature (Tm) cannot initiate the decomposition reaction. In the case of class 3, the above-mentioned incident could cause the reactor to burst, while with safety classes 4 and 5 even a decomposition reaction is conceivable. Event-preventing protective devices such as a countercurrent safety purge system (SPS) should be installed for the class 3 to 5 reactions for this reason in addition to damage-limiting protective devices like a safety valve or bursting discs. The SPS is tripped if the maximum limit temperature which can just be handled without risk (TExo) is exceeded. The difference between the TOnset and TExo temperatures must be sufficiently large for enough time still to be available to trip purging before the decomposition reaction begins. This temperature difference is consequently dependent on the response time of the temperature sensors. Processes assigned to safety classes 4 and 5 are very critical because Tm is greater than TOnset. They must therefore be diluted, either with solvent or using a plug flow recycle reactor (PFRR), so that Tm is reduced to a value below TOnset and the safety classification of the reactions changes to class 1 or 2. Provided no secondary reactions occur with the product, Fluitec’s advice is to give preference to PFRR mode over dilution with solvent on environmental grounds. A pressure rise due to vapour production can be absorbed to a large extent by the pressure equipment. In a gassy or hybrid system, the safety valve or the bursting discs respond. 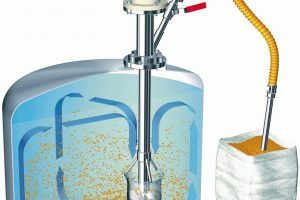 The assemblies for fast and highly exothermic reactions are fitted with axial temperature sensors, pressure sensors and flow meters as standard. Furthermore, Fluitec’s experts equipped their reference plant with a safety purge system as an event-preventing protective device. 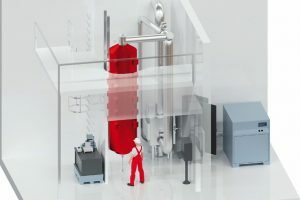 The safety purge system is automatically activated, and the reactor emptied immediately, if the allowable temperature, pressure or flow limit is exceeded. The flow which exits from the plant is fed into a quench tank, causing the reaction to be instantly quenched. The hot liquid is thus prevented from spreading into the storage tanks and collecting vessels. Inert gases or liquids are particularly suitable for purging. 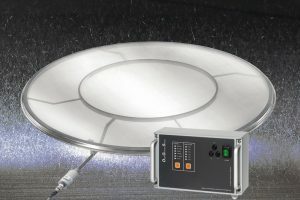 The countercurrent safety purge system is an integral part of the plant and includes both mechanical and electronic components. It has SIL certification and can hence be used as a SIL protection level. Since operating regulations, certified components and risk analyses already exist, the process development time can frequently be halved.